Twelve adorable penguins are here for you to share with loved ones. Each design features a penguin or pair of penguins celebrating the holiday season. 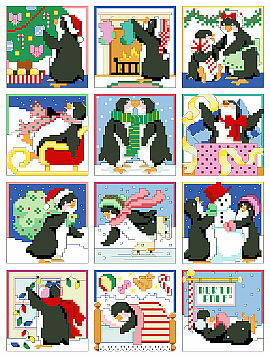 These little motifs will be a big hit with those who just love penguins.